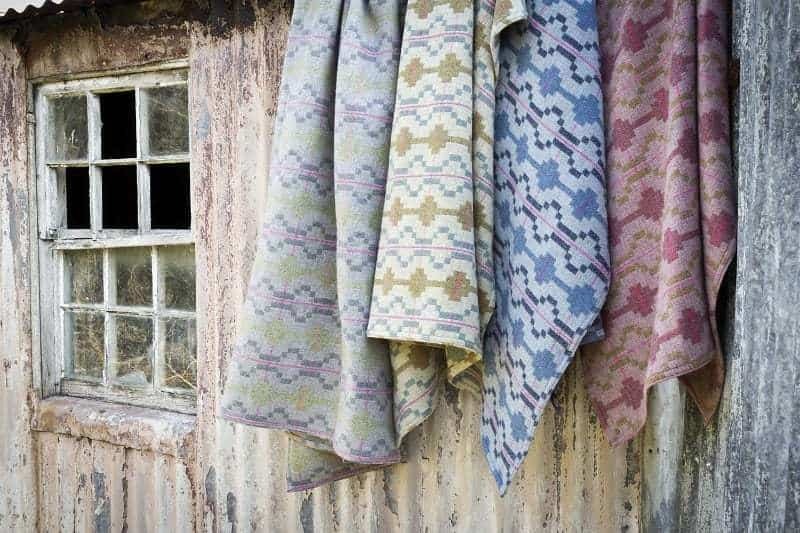 Melin Tregwynt hand weaves beautiful Welsh blankets and accessories that combine authentic Welsh tradition with innovative and modern design. 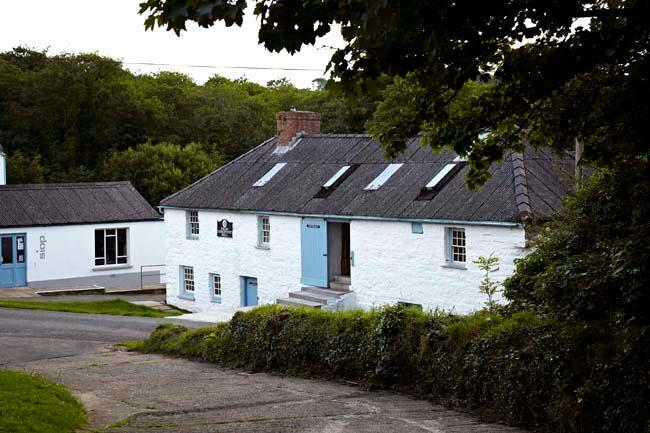 A small white washed woollen mill, Melin Tregwynt can be found in a remote wooded valley on the Pembrokeshire coast. There has been a mill on this site since the 17th century, when local farmers would bring their fleeces to be spun into yarn and woven into sturdy Welsh wool blankets. Weathering wars, recessions and the passing of time, the looms have continued to work their magic. 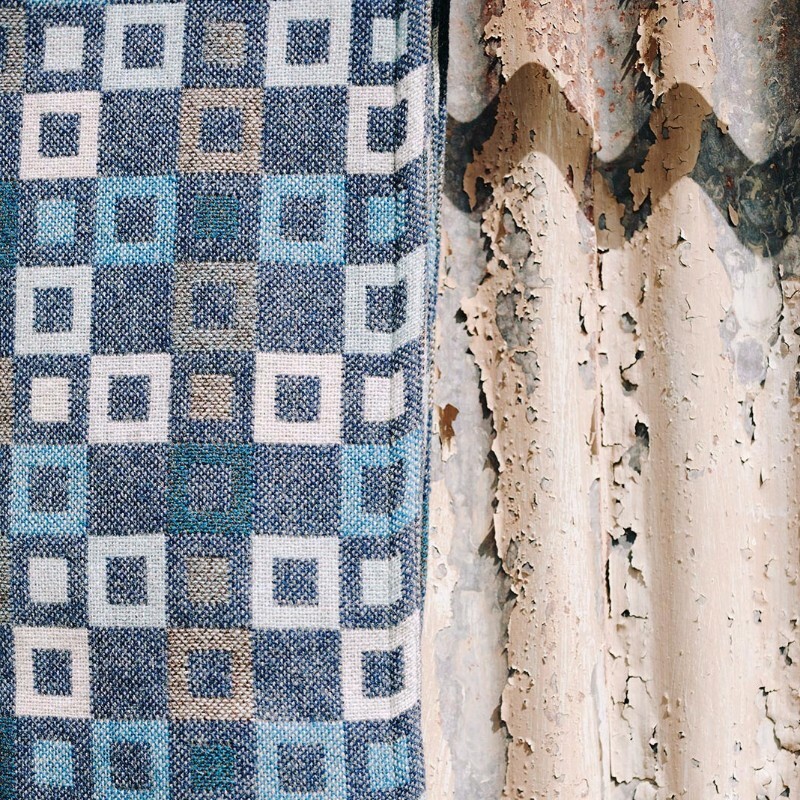 Melin Tregwynt fabrics are simple in spirit, satisfying in quality and timeless in design. Owned by the same family since 1912 the Mill now employs over 30 people and makes things that are useful, beautiful to look at and just a little bit special. Buying a new cushion, blanket or throw is the easiest way to change a room. Here at melin tregwynt we try to make things that are useful beautiful and that will make all the difference to the look and feel of your home. See how it’s done and sit back, enjoy this short film about how we create our designs. Made here in Wales our unique designs come in a wide range of sizes. From cushions and throws to baby and full sized blankets. You can choose either by colour or by design. Also available is a selection of slippers, dressing gowns and socks, hats, bags and clothing. Together with our own specially designed ceramics and cofion range of Welsh gifts. We’re always looking for new ways to use our fabrics so we’ve introduced a new teardrop shaped bag a collection of upholstery fabrics and a range of lampshades in our signature double cloth weaves. Melin Tregwynt blankets throws and cushions make the perfect gift – you can even give one to yourself. If you are buying a present for someone we are happy to giftwrap and put in a personalised card. We hope the products that you choose will give you pleasure and be enjoyed for years to come. The versatility of the Wool fibre has been appreciated by man since the stone ages and to this day keeps the modern consumer cool when they are active and protects the wearer from severe weather elements. Moisture on the skin is wicked away and no man-made fibre has the ability to regulate the body’s temperature in all weather conditions like Wool does naturally. Sheep consume organic carbon by eating plants, and store this in their fleece. Fifty percent of a fleece’s weight is pure organic carbon stored in a durable, wearable form. By absorbing moisture vapour, Wool garments leave less perspiration on the skin, reducing odour-causing bacteria. Easily refreshed by airing, Wool garments can be worn longer between washes due to Wool’s natural ability to shed dirt and bacteria. Naturally high in nitrogen and water content, Wool’s unique cell structure requires high levels of oxygen in order to burn, and forms an insulating layer when heated that prevents the spread of flames. Wool does not melt, drip or to stick to the skin when subject to extreme heat and produces less smoke and toxic fumes during combustion. The major wool growing countries namely Argentina, Australia, New Zealand, Norway, South Africa, United Kingdom, United States and Uruguay, all support the IWTO and Campaign for Wool and conform to the strictest standards of animal welfare as embodied in the IWTO Specifications for Wool Sheep Welfare. The IWTO Specifications are premised on the Five Freedoms of Animal Welfare as set forth by the World Organisation for Animal Health (OIE): freedom from hunger and thirst, freedom from discomfort, freedom from pain, injury or disease, the freedom to express normal behaviour, and freedom from fear and distress. The Five Freedoms also form the basis of strictly enforced national animal welfare legislation in each of these wool-growing countries. cutting and sewing 1080p from Eifion Griffiths on Vimeo.